Naturally managing a data center is a reasonably complex process – one’d have to make sure that ventilation systems fit the amount of heat generated in a room, you’d have to ensure that power supply is appropriate for the devices housed in the racks, you might need to be compliant with certain environmental regulations etc. If you own/operate/work in a data center, CENTEROS is a solution that (among other things) helps you to deal with all those management tasks and it’s built in Flex (with a FluorineFx/.NET backend). One reason why the client originally decided to ask for Flex were the awesome visualisation aspects that no other technology offered. It’s possible to maintain your own floor plans and different rooms as well as create racks and servers with all the physical specifications needed for running the center. 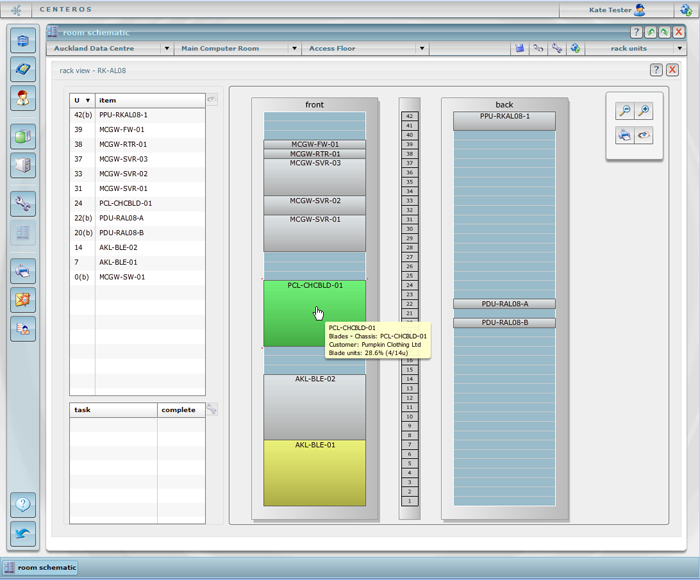 The screenshot below shows the capacity management screen. 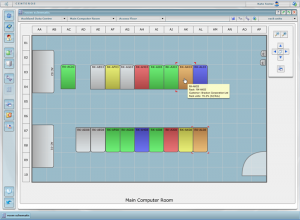 It’s pretty much a room schematic with racks that allow a user to drill-down further into the data center’s housed machinery. 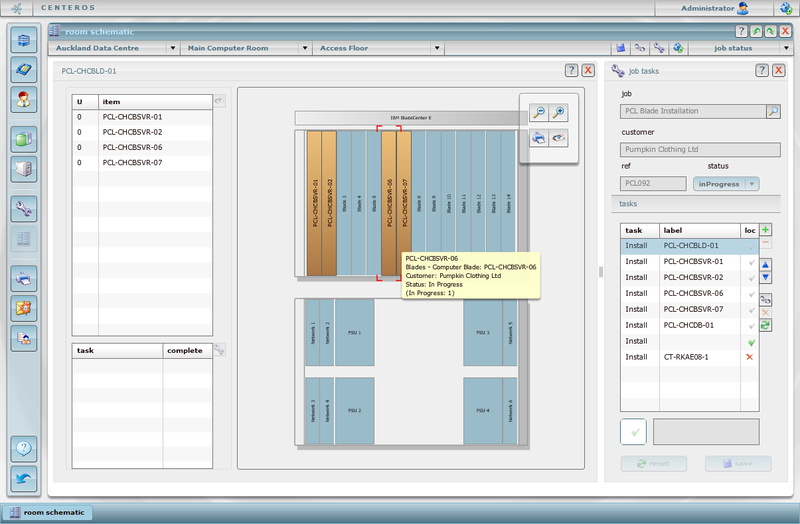 The next screenshot is the rack view. It shows front and back of the racks (as that can be important for power supplies or other connections that have to be accessed regularly). The rack’s content is also being listed at the left and it’s tied to the position of the appliance in the rack. 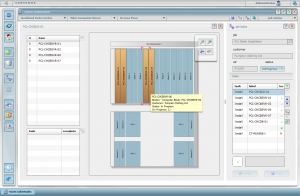 Also – it becomes very clear by just looking at the rack schematic how well rack space is utilised. 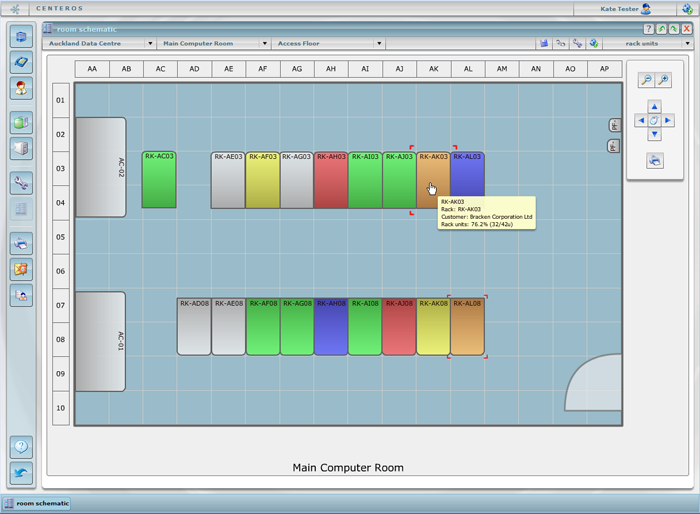 The last screenshot shows a further drill down into an appliance. In this case it’s showing a BladeCenter comprising a few individual blades. This information is also linked against customers and contact details, installations on the server/blade – websites, services etc. 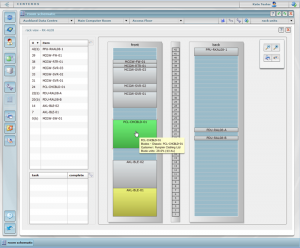 There’s a task and workflow management system built-in that allows data center operations to keep track of urgent things to do on a machine as well as regular scheduled maintenance. All in all besides being a very cool Flex app, I think it’s a great solution for anyone working in the fields of data center management and operations management. The guys at CENTEROS would be happy to provide you with more information and a demo. Previous post: Regular Expressions @webDU – want a $50-off voucher? Next post: Unhandled exception in FormDesigner.exe – Excuse me?